Shake up your workout and create real change! SurfSet is all about getting away from the traditional static workout and challenging your body in new ways. Every exercise on the board is designed to engage your core and stabiliser muscles and shock the system to create real change inside and out. 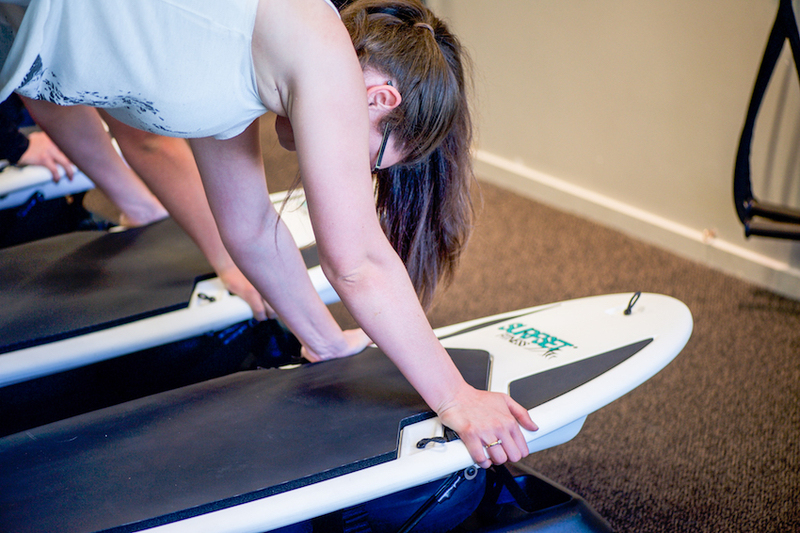 The SurfSet class is designed with built in progressions to continually challenge and push you through plateaus. Once you’ve mastered the basics, we move on to include some high-intensity exercises to mix things up. The SurfSet is a unique piece of equipment designed to shake up your workout. It’s a surfboard on three large inflatable discs, with adjustable straps to help you progress your workout. 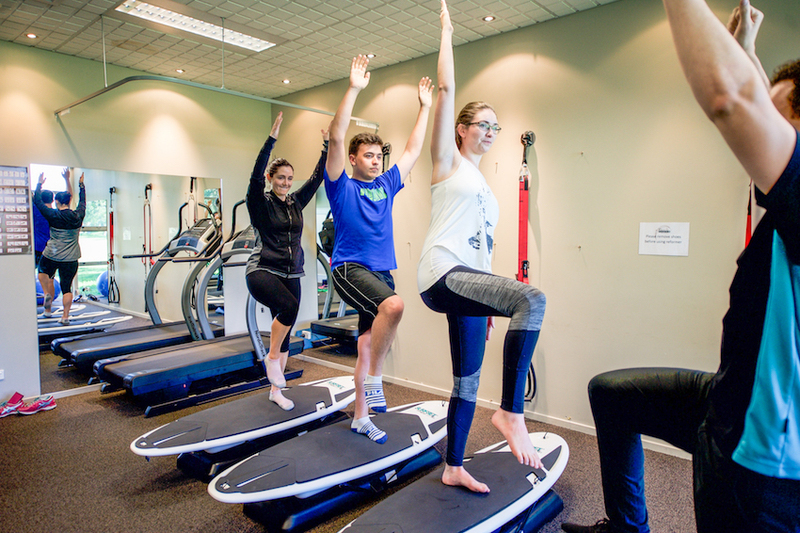 At Muscle People, we run our SurfSet classes in six-week blocks with four participants in each class lead by one of our physiotherapists. This small ratio allows for great progression in each class. If this sounds like what you need to add a little variety to your workout, then give us a call and come to our SurfSet classes!